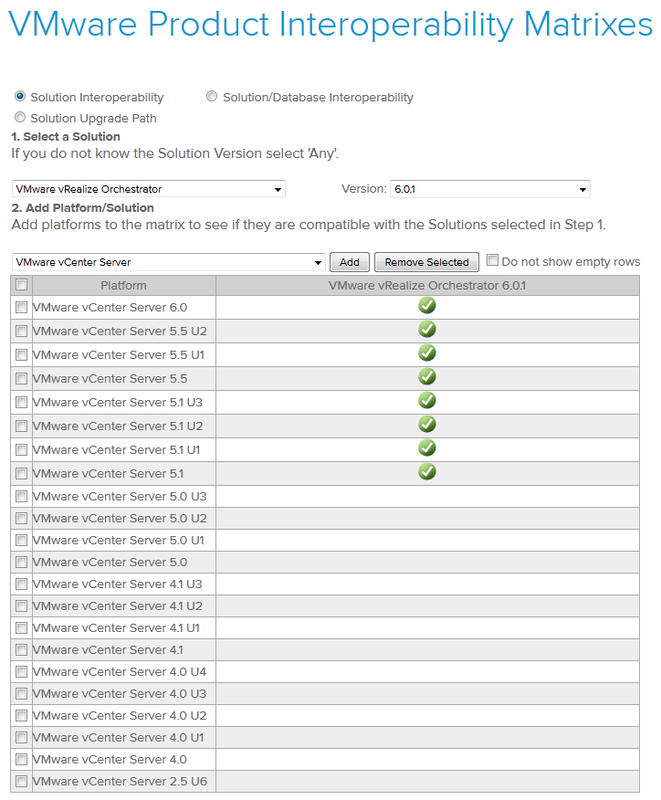 While vRealize Orchestrator will work just fine with vCenter Server 5.1 and above, it will only install a working plug-in with vSphere 6’s Web Client. Let’s see what happens with vCenter Orchestrator: As you can see, each version of Orchestrator’s Plugin is tied to a specific version of the Web Client. 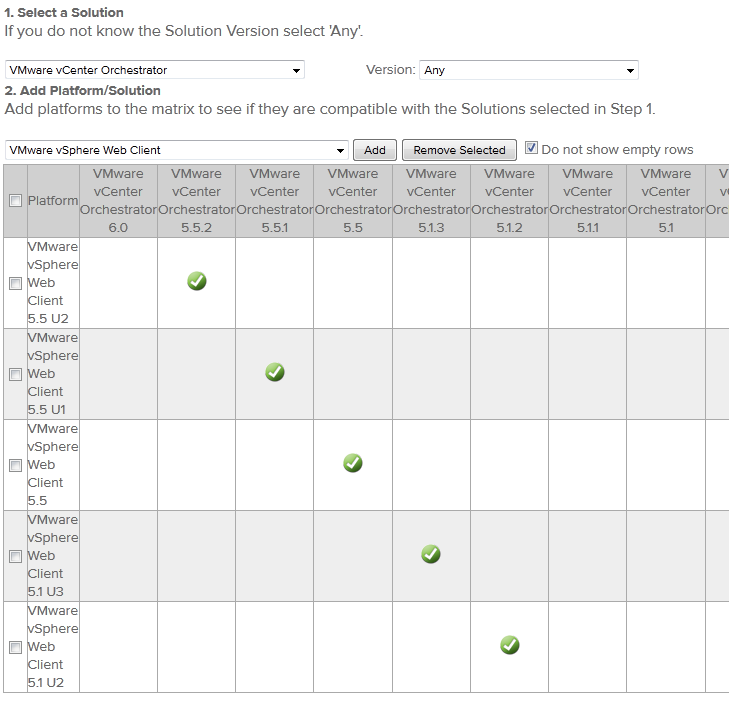 Make sure that you match the appropriate version of Orchestrator to both vCenter and the Web Client products on the Interoperability Matrix. If you are unsure what update level of vCenter you are running, and you use the same version of Web Client as you do vCenter, refer to KB2057466. I recommend following everyone in these twitter conversations, everyone was extremely helpful and are good people. Thanks a lot to everyone who helped me out! THANKYOU!! I have been stuffing around for the last couple of days trying to get this working..